(HOST) Commentator Bill Mares has been wondering why Americans seem so attracted to conspiracy theories. (MARES) Conspiracy theories like the "birther movement" are a hardy perennial in America’s historical garden. They grow in both bad times and good, although fear and uncertainty are strong fertilizers. Sometimes they can be entertaining. Other times can be lethal. Such practices got an early start in our history. By some measures, the Salem witch trials in late 17th century Massachusetts might be considered a conspiracy, in which a toxic mixture of politics, religion and personal grudges spread suspicion and judicial murder across the colony. In the 1920’s, none other than Henry Ford distributed 500,000 copies of an infamous forged anti-Semitic tract which alleged that a Jewish conspiracy was trying to take over the world. Martians were thought to be landing below and the government allegedly wasn’t doing anything about it! drinking water was a plot to weaken us for a Communist take-over. researcher, "democratized" conspiracy theories and created an industry of what you might call "assassinology." It’s a gun-slinger’s attitude toward ideas of "shoot first and ask questions later." It disparages our educational system with one-liners like "those who can, DO, and those who CAN’T, teach!" also offers an echo chamber for every type of paranoia. Members of the "birther movement" never really wanted to know the truth. Rather, they wanted to plant doubt; to imply that Obama is not one of us, that he’s a foreigner, an "Other" with a funny name and alien beliefs determined to take over "our" America. so they hit upon this tactic of asking ad nauseum: "Where was he born?" "No, where was he REALLY born?" visible means of support." So if we want to fight back, we have to first admit that sometimes conspiracies ARE real, like the plot to kill Lincoln, or the Oklahoma City bombing or Al-Queda. We must learn to distinguish between competing ideas, without dismissing as "baseless" those we disagree with. is learning to live with ambiguity, to be able to acknowledge multiple opinions and choose reasonably among them. It’s important to learn to question authority. But it’s equally important to learn that "you are entitled to your own opinions, but not to your own facts." Being able to distinguish between the two is ever more important in today’s complex and contentious world. 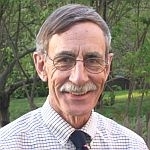 (TAG) You can find more commentaries by Bill Mares at VPR-dot-net.